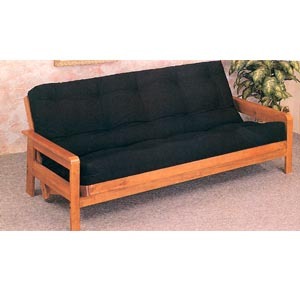 Solid Oak Trimline Style Wood Futon Frame. Easy To Assemble. Strong Construction. Dimensions: 84L. X 54W. X 32H..